In January 2018 the FCC amended its regulations governing the Emergency Alert System (EAS) and Wireless Emergency Alerts (WEA) to add a new event code, BLU, to allow alert originators to issue an alert whenever a law enforcement officer is injured or killed, missing in connection with his or her official duties, or there is an imminent and credible threat to cause death or serious injury to law enforcement officers. Delivery of Blue Alerts over EAS will be implemented January 18, 2019. Sage Endec users: Update firmware will be available next week. DasDec users: The BLU event code is in the v4.0 software update. Trilithic/Viavi: includes BLU event code in its v18.10 software update. As a reminder the BLU event code is in the “voluntary” list, that is, it is not one of the FCC required relay alerts (EAN, NPT, RMT). Stations can elect to relay these alerts or not, with guidance from their state and local EAS plan. Broadcasters and Cable Operators should watch for information updates from your SECC (State Emergency Communication Committee). Blue Alerts over WEA takes effect July 18, 2019. Just before the end of the year, the Senate passed the READI (Reliable Emergency Alert Distribution Improvement) Act, a bipartisan bill meant to improve the Emergency Alert System, extend it to new platforms, and avoid a repeat of the false alarm nuclear missile strike alert in Hawaii that drew an FCC investigation. While most of the points in the bill deal with the creation and origination of EAS alerts, one item is of interest to broadcasters: It would allow broadcasters to repeat presidential and FEMA alerts, something they can’t do now. The bill still must be passed by the House and approved by the president, after which it will be sent to the FCC and FEMA to work out details of implementation, followed by an FCC notice of rule changes. So, it will be some time before any changes to the way EAS Alerts are created and/or distributed. The SBE will continue to issue updates as the bill moves through the approval process. The Society of Broadcast Engineers, the association for broadcast and multimedia technology professionals, filed comments on Oct. 29, 2018, with the FCC in response to the notice of proposed rulemaking (FCC 18-91), released July 13, 2018. That notice sought comment on various proposals for transitioning all or part of the 3.7-4.2 GHz band for flexible use, terrestrial mobile spectrum, and explores options for more efficient and intensive fixed use of the same band, all while protecting incumbent C-Band satellite earth stations from harmful interference. The SBE comments constitute a counterproposal that offers a reasonable alternative to dividing the 3.7-4.2 GHz band, a reverse auction, or other action that would not protect incumbent C-band receive-only earth stations. The SBE suggests that, given the huge number of C-band registrations since the opening of the window (now reportedly greater than 16,000), the FCC’s initial premise that the C-Band could be shared with 5G as an overlay was simply wrong. Recognizing that the European 5G proposal is 3.4-3.8 GHz, and since that offers 1 MHz of overlap with the U.S. proposal, the U.S, should adopt the European allocation, put the commercial broadband providers in the 3.4-3.7 GHz band and use the small overlap segment with C-band for local, private 5G networks critical for next-generation manufacturing and industrial applications. That is actually workable with C-band in the 100 MHz overlap segment. It leaves the vast majority of the spectrum, 3.8-4.2 GHz, intact with no 5G. In contrast to other proposals, nothing is lost for current C-band users with the SBE plan. 5G moves into military radar spectrum, which was already designated years ago for broadband reallocation as part of the National Broadband Plan. In a public notice, the FCC announced a two-week extension, through Oct. 31, 2018, to the filing window for fixed-satellite service (FSS) earth stations currently operating in the 3.7-4.2 GHz frequency band (C-Band) announced previously in Public Notice DA 18-398 on April 19, 2018. The FCC previously announced that the C-Band filing window would close on Oct. 17, 2018. Due to the large influx of applications filed near the mid-October deadline, the International Bureau Filing System (IBFS), which handles the registration, experienced intermittent difficulties that have prevented some applicants from filing for license or registration. Because of this, the filing window has been extended for an additional two weeks. The Society of Broadcast Engineers, the association for broadcast and multimedia technology professionals, held its National Meeting Oct. 2 and 3 in Danvers, MA, in conjunction with the Media Resource Expo. 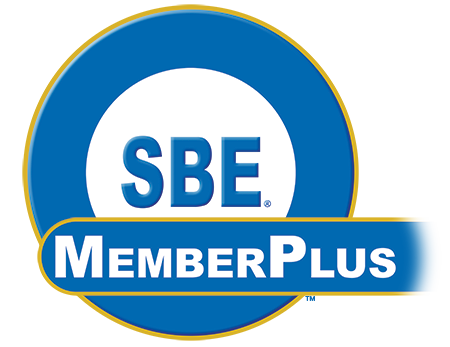 Among the events during those two days, the SBE Board of Directors met, and the SBE held its annual Membership Meeting. At the Membership Meeting on Oct. 3, the 2018-2019 officers and directors were sworn in to begin their new terms. (The results of the SBE election were announced on Aug. 23.) SBE President Jim Leifer, CPBE, also announced his committee chair appointments for the coming year, which were reviewed and approved by the Board of Directors at its meeting on Oct. 2. The committee chair assignments follow. International Charles W. Kelly Jr. The national board of directors of the SBE is responsible for the development of policy and determines the programs and services the society provides to its more than 5,000 members. The Federal Emergency Management Association (FEMA) previously announced that a National EAS test would be sent Sept. 20, 2018. Following the effects of the Hurricane Florence, the test has been moved to the backup date, Oct. 3, 2018. The times for the test have not changed. At 2:18 p.m. Eastern Daylight Time (EDT), FEMA will send a Wireless Emergency Alert (WEA) test message to all WEA-capable wireless devices throughout the entire United States and territories. Immediately following the WEA nationwide end-to-end test, at 2:20 p.m. EDT, FEMA will conduct a live test of the Emergency Alerting System (EAS). All EAS participants are required to participate in this nationwide test. The EAS message will be disseminated via the Integrated Public Alert and Warning System (IPAWS). Stations are encouraged to verify that their EAS units are communicating correctly with the IPAWS server. Review station logs (which should be checked once each week by the chief operator) to ensure stations are receiving the Required Weekly Test (RWT) from IPAWS. This RWT is fed every Monday at 11:00 a.m. local time. Contact your equipment representative for details on setting up your EAS decoder to properly receive and relay the National test. EAS participants are reminded that they are required to register with the EAS Test Reporting System (ETRS). Form One was to be filed on or before Aug. 27, 2018. Then on or before 11:59 p.m. EDT, Oct. 3, 2018, EAS participants must file the day-of-test information sought by ETRS Form Two. Post-test data will be filed later with Form Three. More information is availble from the FEMA website. As you prepare your station for the EAS and Wireless Emergency Alert System (WEA) national test on Sept. 20, 2018, remember that the FCC forbids airing the audio attention signal or EAS tones for any reason other than a genuine alert, authorized test, or approved public service announcement. Remind your news and programming operations of this rule. Any transmission, including broadcast, of the WEA or EAS attention signals or codes, or a simulation of them, under any circumstances other than a genuine alert, authorized test, or approved public service announcement violates the Commission’s rules and undermines the important public safety precautions that WEA and EAS provide. See 47 CFR §§ 10.520(d), 11.45. While the FCC encourages improving public awareness of WEA and the EAS, including the upcoming nationwide test, broadcasters and cable providers are reminded to exercise caution and avoid inadvertently broadcasting the WEA or EAS tones in a news story. Any question or concerns with the upcoming nationwide test can be directed to the FCC at alerting@fcc.gov.